Click here for a summary of recent developments, or check out News and Updates for more details on major events. ​Integrate redevelopment with city master plan. Link repurposed facility with Lower Harbor and Founder’s Landing areas. Create complementary development in relation to other city landmarks and institutions. 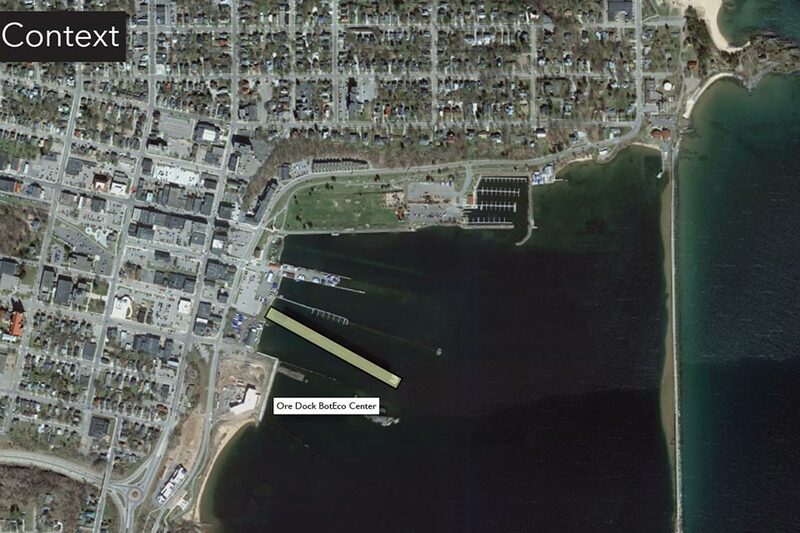 The ore dock is around 970 feet long; building a public promenade adds over 2,000 feet of waterfront to the area. For now, public access is only available as background in photo opportunities. In 2014 a city-financed structural study found the Ore Dock is in good condition. To learn more about the analysis, watch the video created by GEI consultants.